Summer has finally arrived and it has brought vacationing along with it. In such great weather, we immediately think, escape! 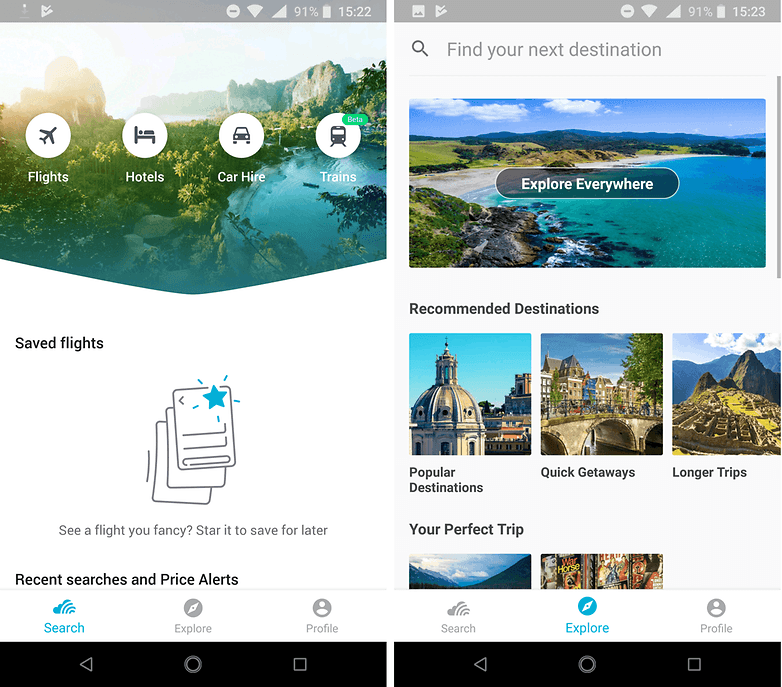 So if you’re planning a little getaway, but are planning on travelling on a budget, we’ve selected 5 apps that will make your vacation ideas a reality! Available in several languages, TravelPirates brings together a whole series of good deals and promotions for hundreds of destinations around the world. You’ll find offers on flights, hotels, trains, and even car rentals. The app also offers the option of setting alerts so that you won’t miss the best discounts. It has also recently undergone an interesting overhaul to make navigation easier. You can easily indicate your budget, destination and airport of departure. So as soon as a deal matches your criteria, the app will send a notification to your phone. Like Travelpirates, Holidayguru aims to offer you good options for travelling cheaply. The app uses its expertise to provide you with information about current offers. It’s also possible to search for offerings, interact with the online community and receive personalized alerts. As always, for certain offers, it’s necessary to book quickly or you might miss out on your opportunity. If you’re looking first and foremost to save on flight costs, Skyscanner will provide with a convenient flight comparison. It offers one of the best directories of low-cost airlines with over fifty companies. Skyscanner has great features such as a list of the cheapest flights from your nearest airport, a monthly price calendar for particular destinations and price alerts. Finally, we’ll finish this list with one of the pioneers in cheap travel, and of course I mean lastminute. As the name suggests, the app compiles a whole series of offers and remains available even at the last minute (and before then as well). 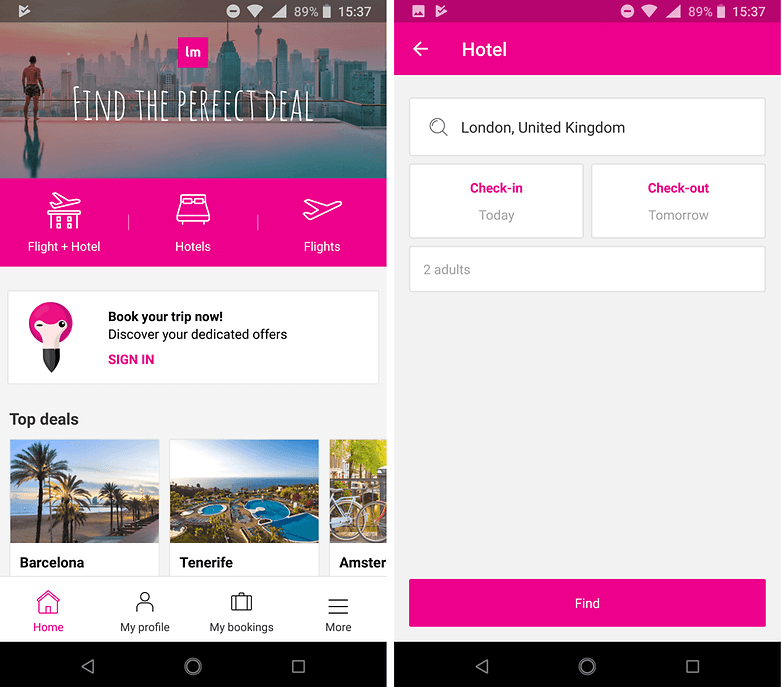 The lastminute app uses the same principle as the original website: find your best flight, hotel, and stay at the best price. And what about you? What apps do you use to travel on a budget?